Fort Wayne is home to the Nation&apos;s largest public genealogy library, housed in the downtown branch of the Allen County Public Library. While the library attracts many budding researchers, other family members along for the trip may not be as interested in the family tree. 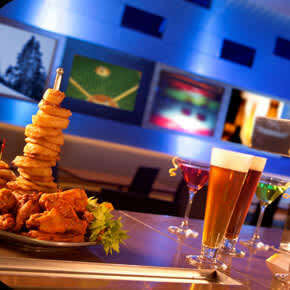 Luckily, there are many other attractions, places to eat, and things to do within walking distance. Many of these activities are free or low cost, but be sure to check if any museums offer reciprocity with museum memberships in your hometown. 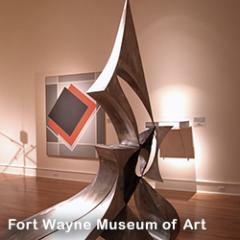 Museums/Attractions: The closest museum to the library is the Fort Wayne Firefighter&apos;s Museum, home to information and exhibitions about Fort Wayne&apos;s fire department. The museum is located in the historic Engine House No. 3, which served as a city fire station until the 1970s. Admission is $4 for adults and $3 for students and seniors. 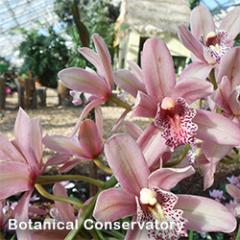 For more nature, stop by the Botanical Conservatory to be transported to gardens of the world while still staying in downtown Fort Wayne. 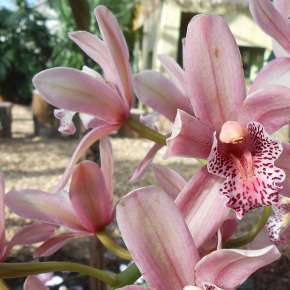 Permanent gardens include the Tropical and Desert Gardens, and the Showcase Garden features four different exhibitions throughout the year. Admission is $5 for adults and $3 for children. 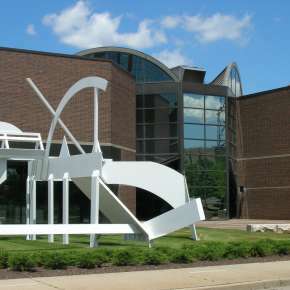 Art lovers should be sure to stop at the Fort Wayne Museum of Art to see American and other art from the 1800s to the present. After you finish at the art museum, cross the street and stop by Artlink, a gallery full of local art and unique pieces. 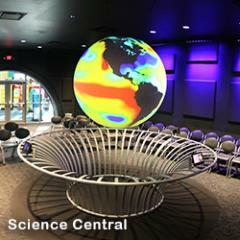 Another great location to stop by is Science Central, an attraction full of hands-on fun and learning. It&apos;s about a twenty-five minute walk from the library, so leave yourself enough time to get there. If you are traveling with kids, this is a must-see space; admission is $9. In the warmer months, be sure to catch a TinCaps game at Parkview Field. The ballpark was rated as the #1 Minor League Ballpark Experience in the United Stats. Tickets start at $6. History: Take an ARCH or Heritage Trail walking tour. Explore downtown and areas nearby led by professional tour guides to learn about the history and architecture of Fort Wayne. Tours through ARCH are $10 per adult and $5 for children; you&apos;ll need to call ahead to make a reservation. Stop by the Visitors Center or the History Center to get maps if you&apos;d like to take your own walking tour. Another great historic location is the Allen County Courthouse, which was recently renovated as part of its bicentennial. The Courthouse has self-guided or docent-led tours; contact the Courthouse directly to schedule. For more history, stop by The History Center, located in Fort Wayne&apos;s City Hall building, constructed in 1893. Admission is $5 for adults and $3 for children. Lastly, don&apos;t forget to leave time to visit the Old Fort, a replica of the 1815 fort built by Major John Whistler. Check online to see when tours and other events are taking place; if nothing is scheduled, you can still walk around the Fort. Arts: Downtown Fort Wayne is home to a great arts scene with performances all year round. 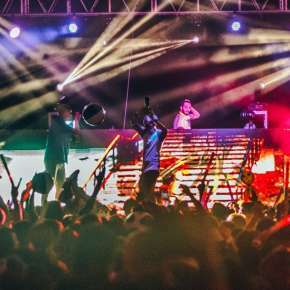 Before you get to Fort Wayne, you can check online to see what concerts, shows, and other events are taking place. Stop by the Embassy Theatre for famous musicals, concerts, or to hear the Fort Wayne Philharmonic. Over on the Arts United Campus, you can catch a show performed by the Fort Wayne Civic Theatre, Fort Wayne Ballet, or Fort Wayne Dance Collective. More community theater is available at the First Presbyterian Theater. Recreation: There are plenty of ways to be active in Fort Wayne. Rent a bike or kayak from Fort Wayne Outfitters and Bike Depot; bike rentals are $30 and kayaks are $25 for a half day. 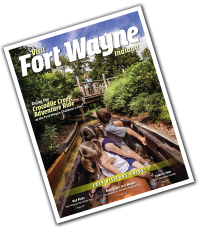 Walk or bike on the Rivergreenway or Fort Wayne Trails-you can get trail maps at the Visitors Center. Stop by Headwaters Park to stroll or play in the splash pad (don&apos;t forget your swimsuit), or see the flowers at Freimann Square. Fun downtown: Live local and stop by the Farmers Market-Fort Wayne has plenty going on all year round. 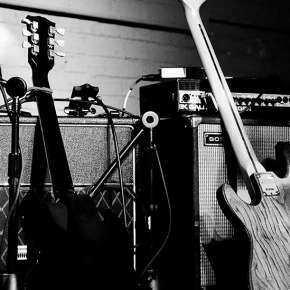 In the summer, stop by the library&apos;s plaza to hear local music as part of Rock the Plaza. 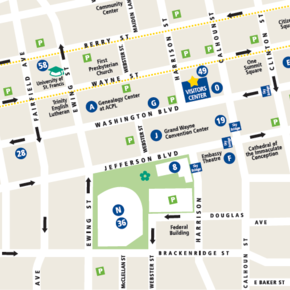 For more information about downtown happenings, visit the Downtown Improvement District&apos;s website. 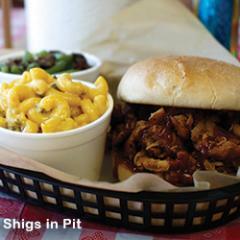 Dining: Bring your appetite to Fort Wayne! 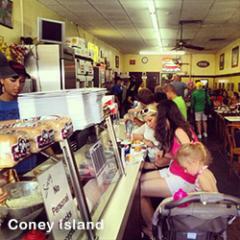 A local favorite with history is Cindy&apos;s Diner, a historic valentine diner that "serves the world... fifteen at a time," or Coney Island. On Calhoun Street, stop at the Dash-In or 816 Pint & Slice; Pembroke Bakery and Café is a good break when you&apos;re at the Art Museum or Artlink. 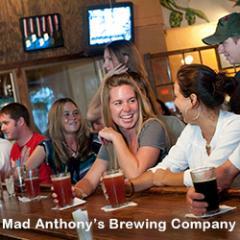 For a larger meal, try Columbia Street West (only open for dinner), Mad Anthony Brewing Company, O&apos;Reilly&apos;s Irish Bar and Restaurant, or Shigs in Pit Barbeque. If you have a car: If you are feeling more adventurous and have a car, stop by the Fort Wayne Children&apos;s Zoo. Ranked Indiana&apos;s #1 Gotta-Do in summer 2012, the Zoo is consistently ranked as one of the top children&apos;s zoos in the country. Admission to the zoo is $14 for adults, $10 for children ages 2-14, and $12 for seniors. Another unique experience in Fort Wayne is the DeBrand chocolate tour. Learn about the history of the company and see how they make their delicious chocolate. Tours are $5 per person, and you receive some chocolate samples as well as a $5 off a $10 or more purchase coupon. If you&apos;re looking for shopping, stop by Jefferson Pointe or Glenbrook Square Mall for local and national favorites.